We have built and expanded great settlements with a flourishing and lively economy. However, we’ve never talked about how we expanded our territory. In this week’s blog post we talk about just that. 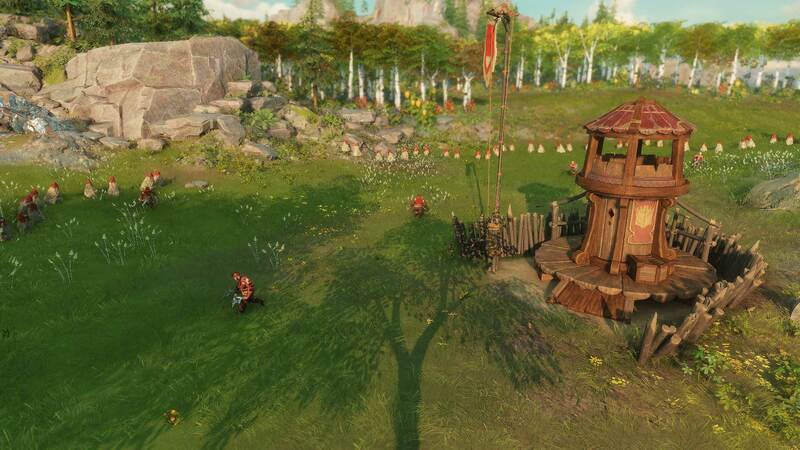 In previous the “The Settlers” game we usually had to build barracks, guard towers or other military buildings, wait for a soldier to occupy it and our territory was automatically expand. In the new The Settlers the players have more choices in territory expansion and it is visualized in more details too. Whenever we see our frontier, marked by the border stones, we know we cannot build past that. Everything behind it is unknown, unexplored and might be dangerous. In order to expand our territory we need to build a keep, castle or fortress. The keep is the most basic military building helping us to expand and secure the area. Once the construction is completed, our military units will make their way to the building. If this is our first keep, our military units will move from the shoreline to the building. If we already have another keep in our settlement they will split their forces depending on the keep settings, which we can define. Once they reach the keep they will start claiming any neutral territory nearby. Step by step by moving the border stones manually. If we want to expand in a specific direction we can easily do this. We simply click on the keep and set a focus point. Our units will then favor the direction we choose and expand accordingly. However, each keep has an “area of influence”. This is the maximum distance they will go and expand. The same goes for castle and fortresses. Once our units have expanded to our defined direction, they will not rest until the other areas of influence has been claimed. In order to speed things up we can assign more units to specific keeps, castles or fortresses. Each type has an individual unit limit. The more units we have assigned, the faster we will claim the land around the keep. In a future dev blog we will dive deeper into other military buildings, various units and different defensive options available in the game. Stay tuned. What do you think about territory expansion? Do you like the concept of it? Let us know what you think in the comments below. I’m curious as to how much customization well get to do to the look of our major buildings. 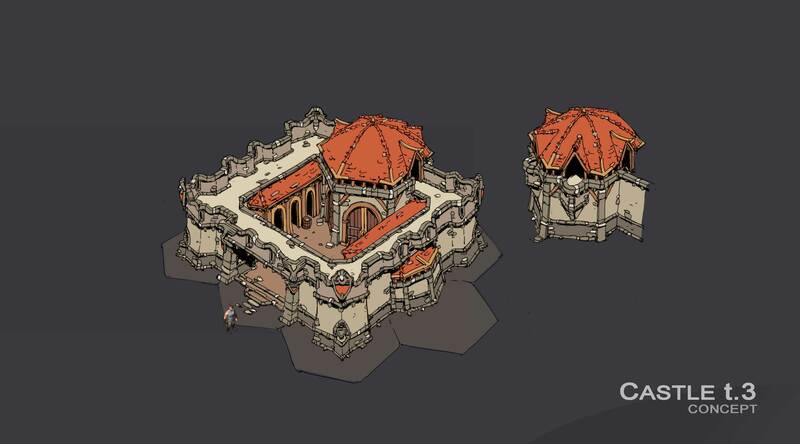 I recently got the early-access game Foundation and now I want its custom monument feature in every city-building game. I love this game’s aesthetic and i’m going to play it regardless, but having the ability to create my own unique castle/fortress/manor/other-monument would send this game from a 9 to a 10. I would prefer the game to be more simulair to Siedler 3 and 4, with more of a free use of the military. However, if this is the way you want the game to be like, I am sure there are many Siedler 1 and 2 fans out there liking this feature! This sounds quite interesting, Definitely like to see how it plays out whenever you guys release some sort of gameplay video at some point. It sounds like you guys have gone back to how the original The Settlers 1&2 games played when it comes to expanding borders but with more control? looking forward to seeing more. 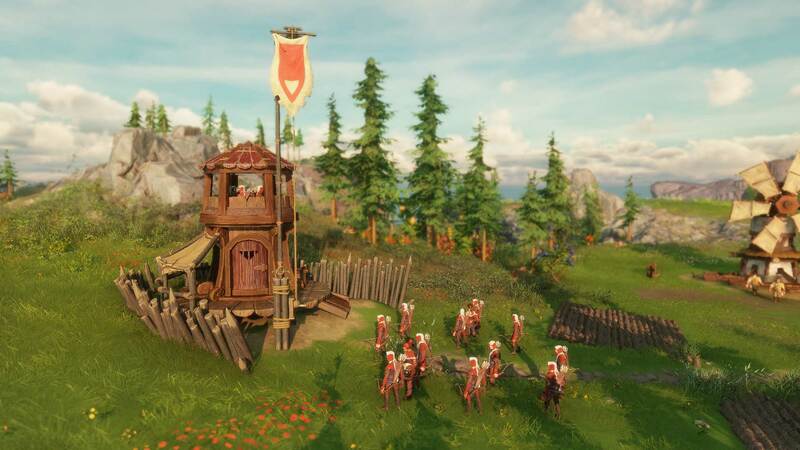 Wonder if we are going to have small villages to trade with like in settlers 6 :P.
Very straightforward , wonder if you try to expand vs enemy borders I assume the level of building you use matters. And those shown are all the unit types: archers, berserkers, swordsmen? They’ll get their own article at a later date, when we’ll focus a bit more on the military. 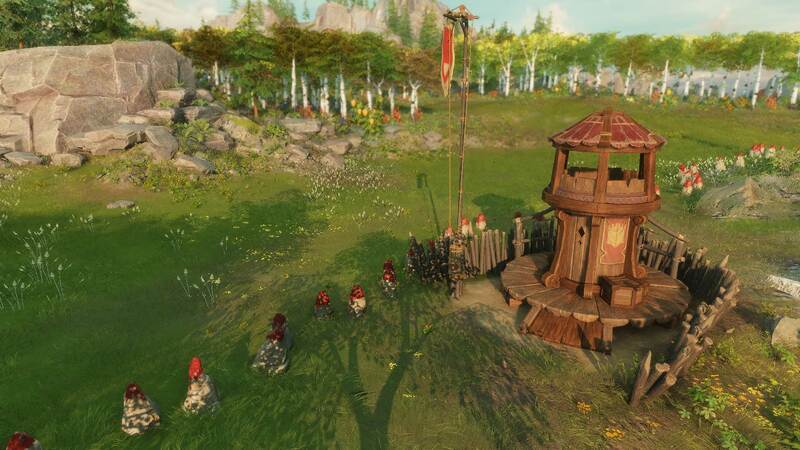 Will it be possible to upgrade the military structures all the way up to the fort. I think that would be a great addition. This will add another layer of strategy, since you can focus on just fast expansion , and later upgrade it to forts to have better defence. I know this was possible in The Settlers 2 remake, and was one of the few things i actually liked about it. Hey DeusMach, you will be able to upgrade your towers for a stronger defence, allowing more soldiers to occupy it. But you won’t be able to upgrade a tower into a fortress – reason for this also being the building space, of course: A castle takes up much more space.